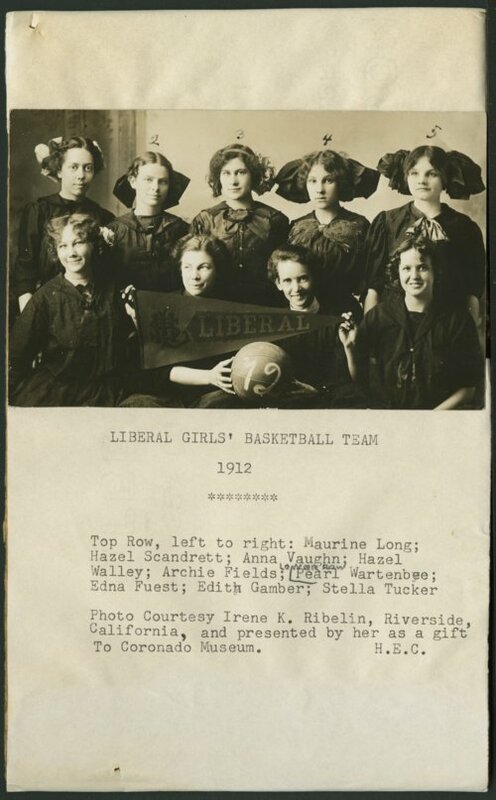 This photograph shows the Liberal girls' basketball team of 1912. The team members are as follows: Top row, left to right, Maurine Long, Hazel Scandrett, Anna Vaughn, Hazel Walley and Archie Fields. Bottom row, left to right, Pearl Wartenbye, Edna Fuest, Edith Gamer, and Stella Tucker.